An awesome mystery giveaway! Enter now it won't be around for long!I see some hello kitty in there! 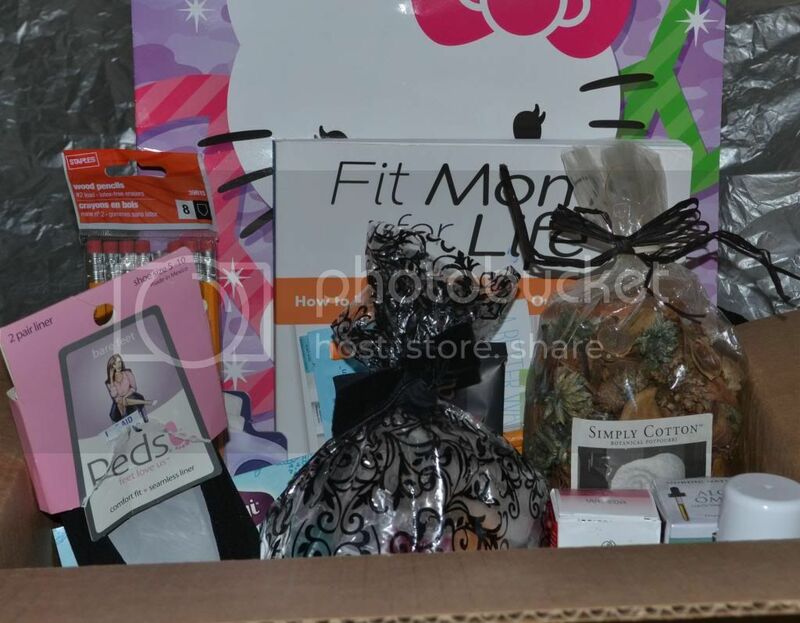 Kimberly's Thoughts has teamed up with some amazing bloggers to celebrate 15K fans, with this mystery box. Thanks so much for everybody's help! Now you can see a good bit of what's in it, but you can't see a whole LOT that's hidden............ and not everything is in it yet. There is at least $75.00 worth of goodies to be won in this box of mystery. Disclosure: Kimberly's Thoughts is responsible for prize fulfillment. Anything would be cool! If its not something I'll use like makeup then I'll share it with a friend! I do like soaps, candles and candy and stuff! Great idea! And Christmas is coming up. Woohoo that's a lot and a great giveaway in general. This would be a good gift to give out for Christmas if I won. Thanks! Anything works for me. Would love to see candles, gift cards, some snacks. I would be happy with anything. Thanks for the great giveaway. I smelled some cupcake spray one day it was amazing. I want one of those treasure candles! Make up would be awesome, but anything really... I love surprises! Hmmm...maybe one of those new jewelry candles? Anything Hello Kitty or nail polish related.